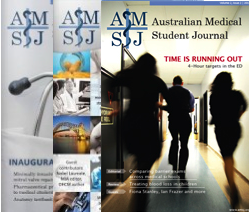 Congratulations on the inaugural issue of the Australian Medical Student Journal. As Australian medical students, you are the future medical workforce studying to shape the health and well-being of the next generation of Australians. This is an exciting time to join the medical profession, in the midst of the biggest reform to the health and hospital system since the introduction of Medicare. Recently, I announced the Government’s National Health Reform Plan. The Plan is based on a vision that future generations will enjoy world class, universally accessible health care — the quality of care that has helped deliver Australians the third longest life expectancy in the world. The Reform Plan will build on the strengths of our current health system, such as access to primary health care through Medicare, and free public hospital treatment for public patients. We want to improve public hospital and primary health care services, since these services underpin Australia’s entire health system. Most importantly, the Reform Plan will harness and build on the skills, experience and ingenuity of those, such as yourselves, who work on the front line of our health and hospital system. Yours is the work of saving lives – restoring, curing and protecting the young; the old; rich and poor alike – through life-changing treatments, discoveries and breakthroughs. It is work that I appreciate. 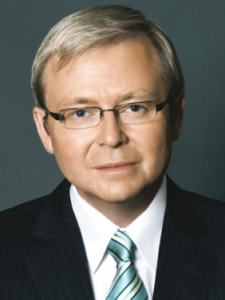 Work that all Australians appreciate. Australia needs students such as yourselves to achieve the breakthroughs in medical science that prevent disease, cure illnesses and deliver a better quality of life. I wish each of you all the very best for your future endeavours, and I commend you for choosing a profession which is so important to the future of our nation.